Our video documentary project got sidelined for a while due to a family emergency, but is now firmly back online. What I have been busy doing is gathering what is called stock or archival footage, and I will be doing this for some time yet. This has been in the form of in-depth interviews of musicians, artists, music supporters, and key music venue personnel. I have made my living as an aggregator of popular-culture content for decades, so this is right up my alley. And this kind of work is done in stages. Ultimately we are headed toward a feature-length documentary on music here in Michigan, which is what I call it the Michigan Music Project. But to do that, we have to have a lot of archival source material to draw from. That is what I am doing now, assembling many in-depth (and lengthy) interviews as source material. From these interviews, perhaps a few seconds or a few minutes of footage will be used from a single artist, but without a lot of source material, we would have nothing to draw from. The value of these interviews for archival purposes is great, since, rather than a minute or so of slickly edited material, here we get something like a detailed autobiography from the artist themselves. They are filled with fascinating information of interest to fledgling musicians and the general public who are their fans. The format of this source material is now pretty-much vetted and looking good enough to act as a container to hold the various interviews and other source materials. They will be made available for online viewing for those interested. This has been very much because of my son Michael (a professional videographer), my wife Margaret, and Seth Bernard and my daughter May, who have advised me. May has been a trooper, pointing out many changes that should be made and generally holding my feet to the fire. Thanks May and everyone else! I have a bunch of these interview videos almost finished and am doing more each week. 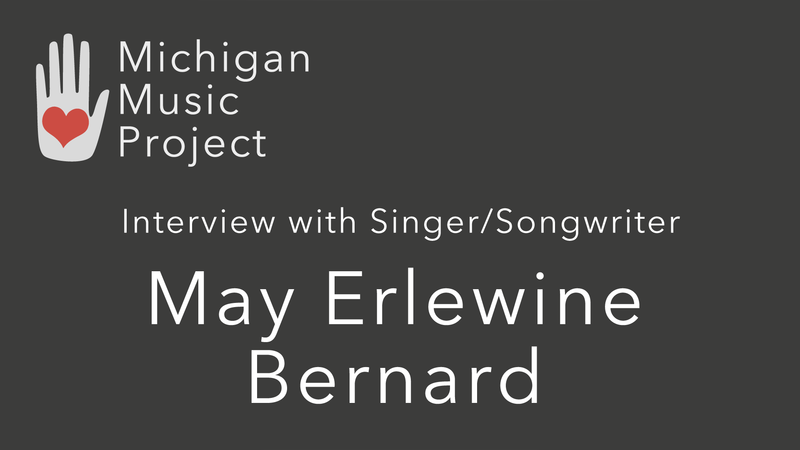 Here is one of several interviews of May Erlewine Bernard that we have done, and includes a general introduction to her history as a musician. If you have time and inclination, it offers a fun view and insight into her work.